This very tasty apricot stuffed muffins with a lovely almond scent are specialty and real treat for the whole family, especially kids love them! 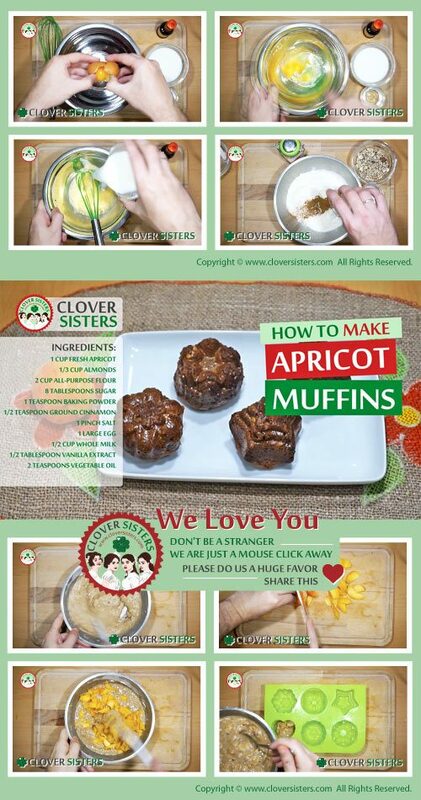 Muffins are always great, try this apricot recipe while fresh apricots are available. Preheat an oven to 400 degrees F (200 degrees C). Line muffin cups with paper baking cups or use silicone baking cups. Stir together the all-purpose flour, brown sugar, baking powder, cinnamon, and salt. In the second bowl whisk together the whole milk, vegetable oil, eggs and vanilla extract until smooth and evenly blended, then stir in the flour mixture until just combined. Add the chopped apricots and almonds. Spoon the muffin batter into 6 muffin cups, about 3/4 full and bake in preheated oven for about 25 minutes or until the sweet apricot muffins are golden brown. 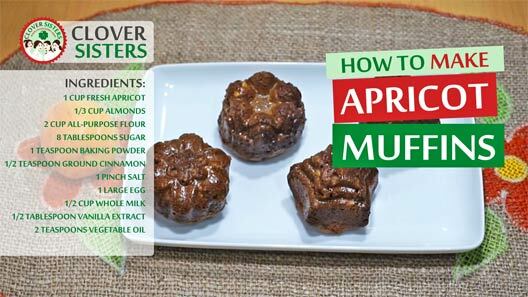 Remove the muffins from pan and serve them warm or allow to cool to room temperature.